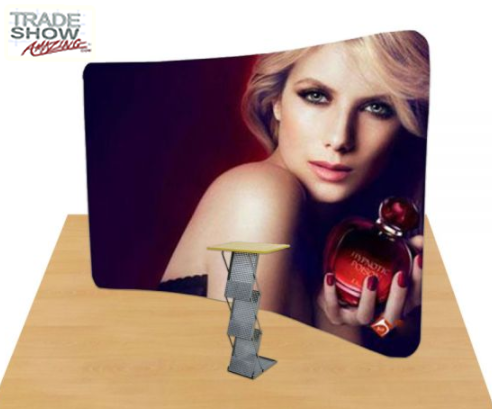 10ft Curved Portable Fabric Tension Exhibition Display System- Style B (With Graphic) - Dino Rentos Studios, INC. This 10 FT Curved Portable Fabric Tension Exhibition Display System-Style B (Wide Graphic) is a great option for Tradeshow and Convention Displays. This All-In-One Display sets up and disassembles in 10-15 minutes without the use of any tools. With its updated Aluminum frame, this kit is lighter, more durable and has longer service life.